Ayurveda, the divine healing system of India identified the benefits of wholesome herbs to support holistic and safe skin care. Based on the principle of elements, doshas and various sub doshas various recommendations are given to enhance and maintain skin health. 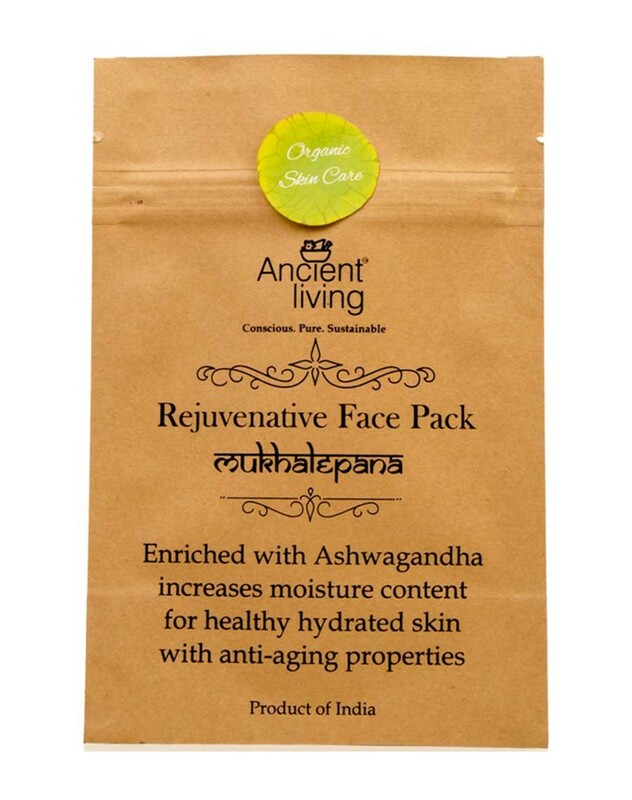 Ancient Living formulations for skin seek to combine herbs to positively influence seven layers of the skin starting from the outermost known as Avabhasini layer. 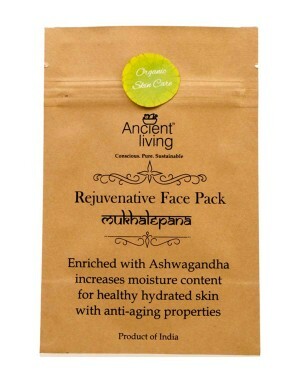 Ancient Living Rejuvenative face pack contains Yashtimadhu which is described as varnakrut, a herb which enhances the complexion. Manjistha is a renowned purifier. Ashwagandha also known as Indian ginseng is highly restorative for the skin. Nimbukam clarifies the complexion. These herbs provide excellent nutrients to moisturise and rejuvenate skin. Used regularly it helps maintain a youthful appearance.